Get ready to ace your AP Chinese Language and Culture Exam with this easy-to-follow study guide and audio program! 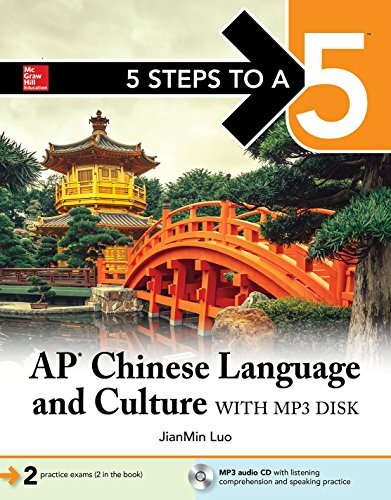 5 Steps to a 5: AP Chinese Language and Culture 2019 introduces an easy to follow, effective 5-step study plan to help you build the skills, knowledge, and test-taking confidence you need to achieve a high score on the exam. This essential guide reflects the latest course syllabus and includes 3 full-length practice exams, the most up-to-date scoring information, and a complete audio program on MP3 disk.